Home » 200. SCIENCE » 250. 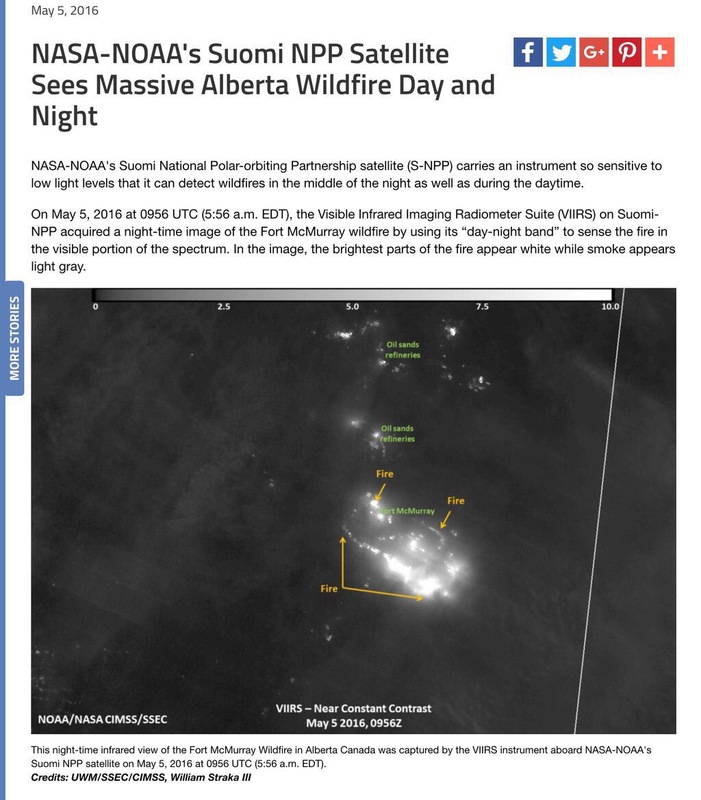 Geology » FORT MCMURRAY FIRE | Imaged By #NASA #SuomiNPP Satellite During Day/Nighttime. 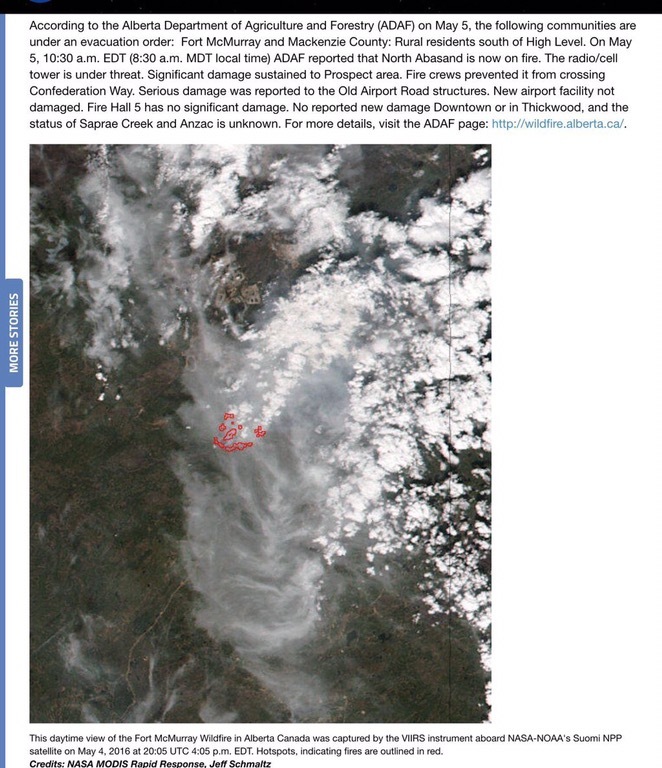 FORT MCMURRAY FIRE | Imaged By #NASA #SuomiNPP Satellite During Day/Nighttime. ARCHIVE POST: Origionally tweeted 2016-05-06.